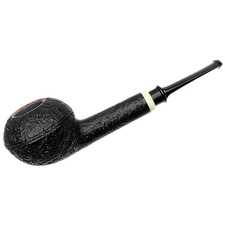 After his unfortunate passing in 2011, legendary German pipemaker Rainer Barbi left a portfolio of stunning artisan pipes as his legacy. 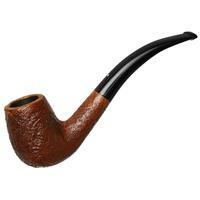 Offered here is a Freehand take on a bent Stack. 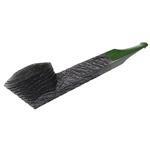 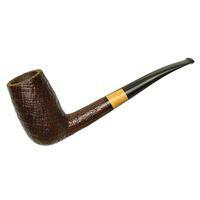 In profile, the shaping is traditional and straightforward: A tall Billiard bowl rises on the end of a slender shank and stem combination. 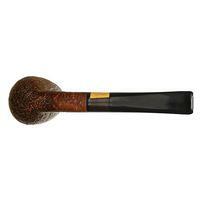 From an aerial perspective, however, the bowl bulges at the flanks for an oval-shaped cross section. 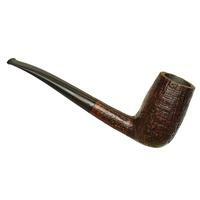 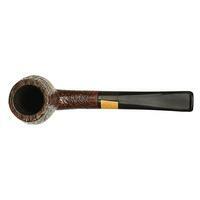 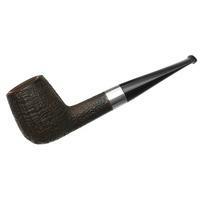 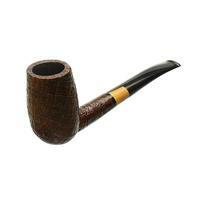 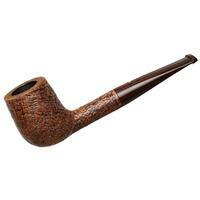 The deep chamber remains circular, but the added briar at the sides provides a natural, more sturdy feel in hand. 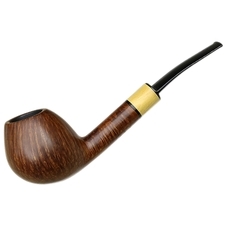 Dressed in a stunning sandblast, growth rings and straight grain intersect up and down the bowl, while the pastoral color palette matches with the dual-tone cocobolo accent at the stem base. Good condition on this 2002 piece too, with just some minor rim darkening and wear to the stem logo.